I was browsing Etsy last night and found a cute saying that said “you’ve stolen a pizza my heart”. 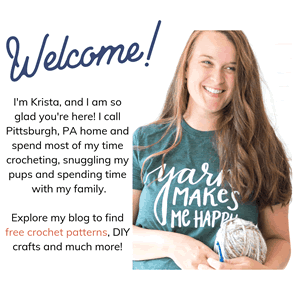 I instantly knew that I had to create a crochet pizza slice! Now that I’ve made this I am pretty sure that I need to make a larger version and make a crochet pizza blanket! 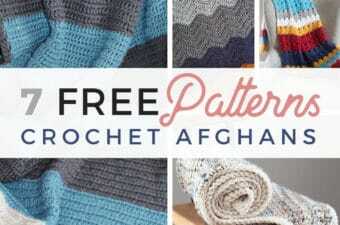 My kids would absolutely love that kind of blanket for sure! If you love making any kind of crochet food items then you will love this pattern too! To make my crochet pizza pattern I decided to use some worsted weight yarn I had left over from previous projects, but if you don’t have any I would recommend Lion Brand Vanna’s Choice! 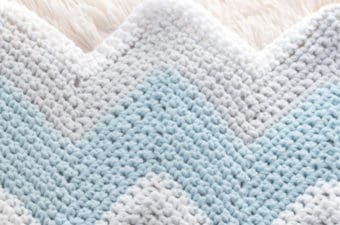 I love Vanna’s because of the durability and the awesome colors that are available! 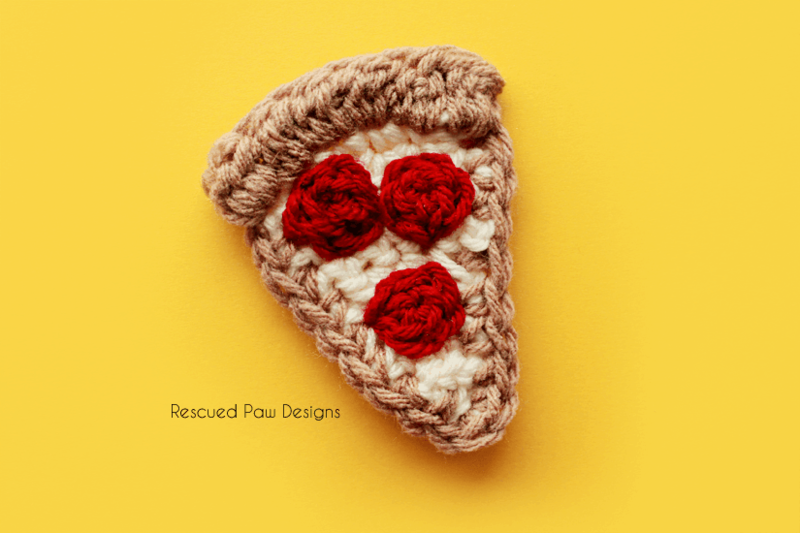 Use this pizza for all types of crochet projects! These little pizzas would be adorable as an applique on a crochet blanket, crochet hat or even a crochet sweater! Could you imagine? If you are ready to get started on these pizza’s then read on down for the full, FREE tutorial. Worsted weight (4) yarn in cream, tan, and red. 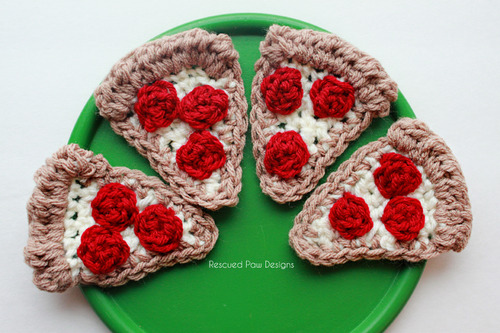 Make these cute Crochet Pizza appliques today! Row 2 & 3: single crochet across row, chain 1, turn. Row 4: single crochet in the next 2 chains, single crochet 2 together, single crochet in the next 2 chains, chain 1, turn. Row 5: single crochet across, chain 1, turn. Row 6: single crochet 2 together, single crochet, single crochet 2 together, chain 1, turn. Row 7: single crochet across, chain 1, turn. Row 8: single crochet 3 together, single crochet 3 together video tutorial chain 1, turn. using tan yarn. Fasten on yarn to long side of pizza. Do 7 single crochets down side, then 3 single crochets in the single crochet of Row 9, to finish do 7 single crochets down the other side. 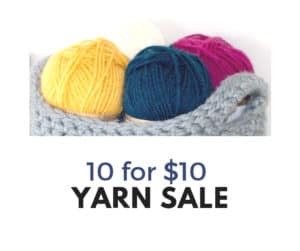 Fasten off yarn. 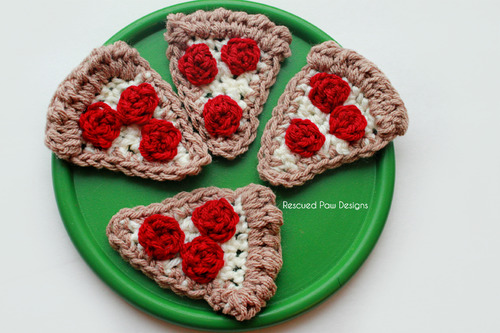 Attach pepperoni to your crochet pizza with a yarn needle. Watch a tutorial here on how to attach an applique. The finished size of each piece of pizza is approximately 4 inches tall and 3 inches wide (at the widest point). Thanks for stopping by! 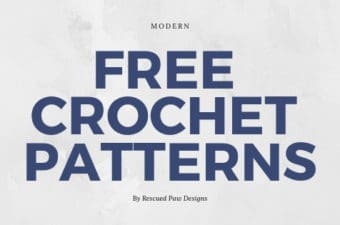 If you have any questions about this free crochet pizza pattern feel free to email me or leave a comment. Don’t forget to check out my shop “Yarn Mamas” just for makers where you will find tees, tanks and much more!